process, filename and much more. a readable way, you can easily integrate them on Splunk or SIEM systems. 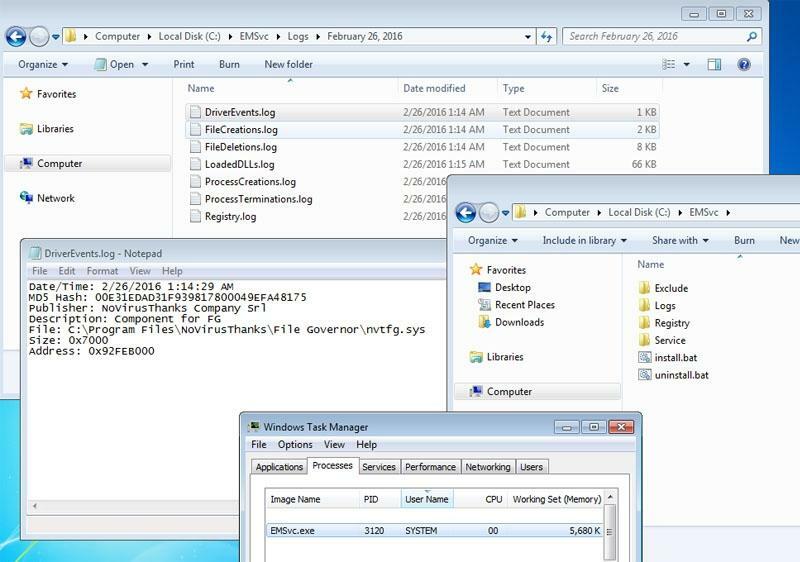 Log files createdmodifieddeleted, registry changes, processes, DLLs, etc. Write custom rules to excluded a specific event from being logged. Via a simple INI file you can configure the logs path, exclusion rules, and more. Via the INI configuration file you can enable the XML logging. 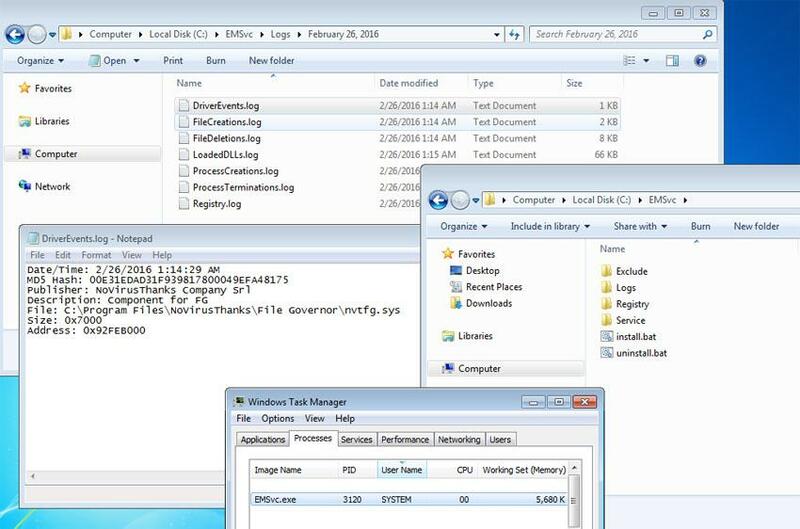 Via the INI configuration file you can enable logging to Windows Event Log. Save many useful details about each event that is logged. The software application uses only a few MBs of memory, you will not even notice it. The program is free from spyware, adware or other pests, nothing extra is installed. Service-only application that runs in the background, without a GUI. Here there are some screenshots of the application.